Stream your music once, listen it offline many times, with simplicity. 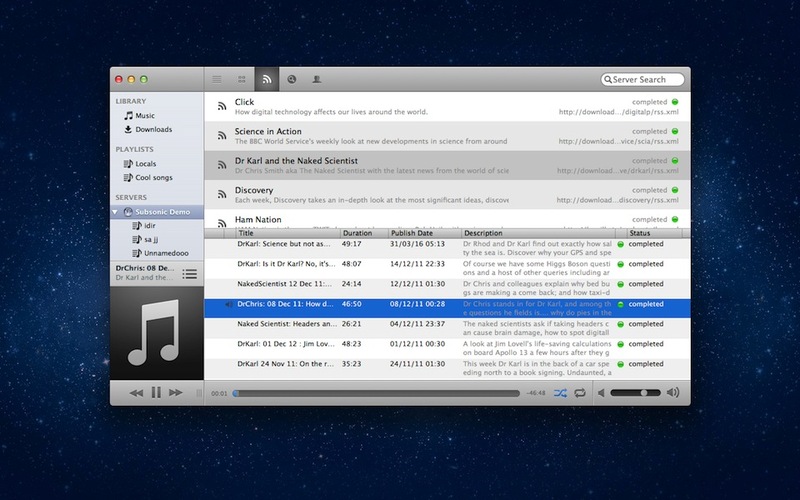 Submariner is a client application which can be connected to multiple Subsonic servers to listen your music. Enjoying the cache streaming and download features, Submariner facilitates offline listening and reduces the use of bandwidth. It automatically import cached music into your local library. With Submariner you can manage Subsonic server playlists as well as local client playlists. Local playlists support both mixing remote and local tracks. 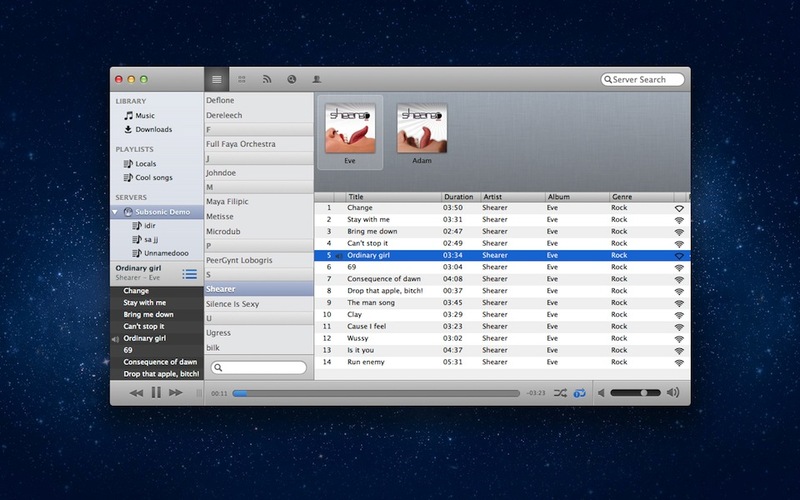 Like every good music player, Submariner offers user interface controls to play your music. 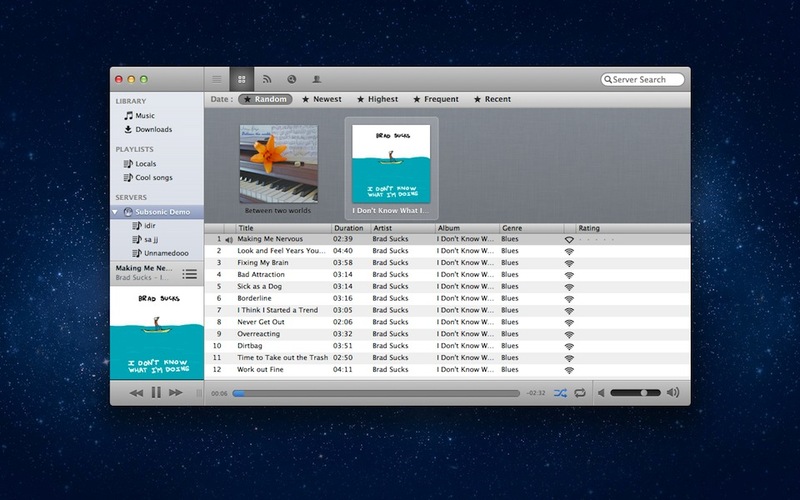 It supports volume, seek, shuffle, repeats, and handles Apple keyboard media keys to switch tracks. 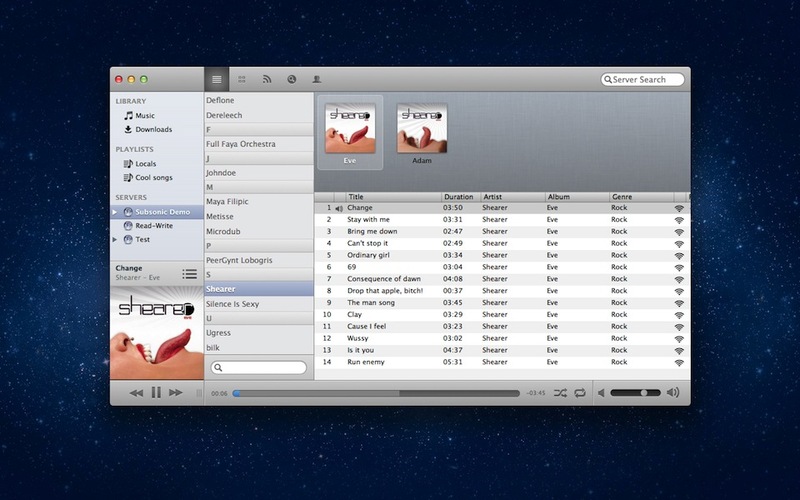 Because music is not always in the cloud, Submariner lets you import, remove and organize your local MP3 collections. © 2011 - Raphaël Warnault - All rights reserved.